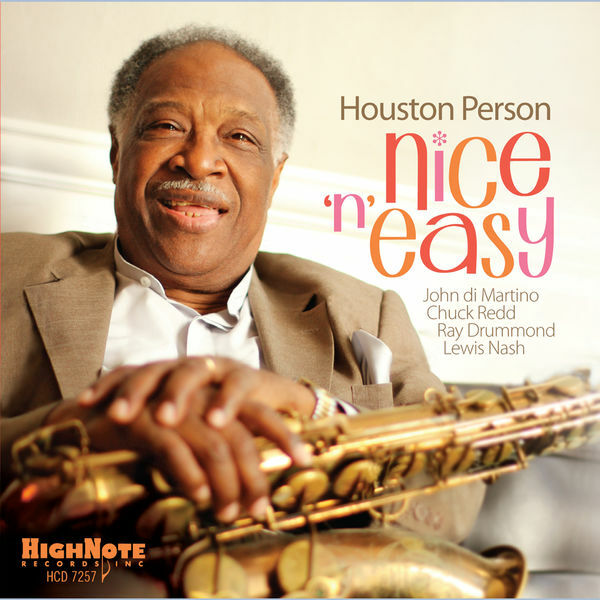 L. Armstrong, Composer - Houston Person, MainArtist Copyright : HighNote Records, Inc. HighNote Records, Inc.
S. Cahn, Composer - Houston Person, MainArtist - J. Van Heusen, Composer Copyright : HighNote Records, Inc. HighNote Records, Inc.
D. Thompson, Composer - W. Davis, Composer - Houston Person, MainArtist Copyright : HighNote Records, Inc. HighNote Records, Inc.
C. Sigman, Composer - Houston Person, MainArtist - C.G. Dawes, Composer Copyright : HighNote Records, Inc. HighNote Records, Inc.
A. Bergman, Composer - L. SPENCE, Composer - M. Bergman, Composer - Houston Person, MainArtist Copyright : HighNote Records, Inc. HighNote Records, Inc.
S. Cahn, Composer - S. Chaplin, Composer - Houston Person, MainArtist Copyright : HighNote Records, Inc. HighNote Records, Inc.
H. ARLEN, Composer - T. KOEHLER, Composer - Houston Person, MainArtist Copyright : HighNote Records, Inc. HighNote Records, Inc.
B. Hanighen, Composer - Houston Person, MainArtist - T. Dameron, Composer Copyright : HighNote Records, Inc. HighNote Records, Inc.
M. Jackson, Composer - Houston Person, MainArtist Copyright : HighNote Records, Inc. HighNote Records, Inc.